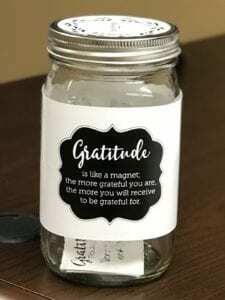 Gratitude is like a magnet. The more grateful you are, the more you will receive to be grateful for. The CoxHealth Foundation is grateful for the 2,620 CoxHealth employees who ended the year with their hearts full of charity and compassion for those patients who seek our support. We are happy to report in 2017 the Foundation gifted 63 employees financial grants to assist them in times of extreme crisis. There when they need us, the CoxHealth Foundation’s crisis fund distributed $56,040 to our co-workers who had suffered loss from fires, the death of a loved one, unexpected health conditions and many more situations that were out of their control. The CoxHealth Foundation has this fund thanks to the generosity of our donors. This year 2,340 patients received assistance from our 31 patient service funds. $497,679 was gifted in direct financial grants for medications, travel assistance, hospital bills, nutritional supplements for cancer patients, lymphedema garments, home health aides, special medical equipment and more. The requests to the Foundation are as diverse as the patients themselves. Again, the helping hand up the Foundation can offer helps to set CoxHealth apart as the community hospital that care. You, our donors, are what empower us to be this resource when patients have no where else to turn. The CoxHealth Foundation values education and appreciates how it helps our patients and employees to be their best. In 2017 the Foundation provide $336,735 in educational grants. Diabetic patients learned how to control their disease, nurses were educated in the latest techniques in cardiovascular, oncology, neurosurgery and more. This is just another way the Foundation strives to give our employees and patients the knowledge that is power in fighting illness and disease. Take heart that so many lives were changed in 2017 thanks to the gifts that our employees generously and graciously gave out of their paychecks each week. The $2, $3 or $5 may not have felt like a lot, but to a patient who needed a medication they could not afford, that $5 gift gave them their path to good health. Two of the faces we will introduce you to are Elizabeth Crockett and Brittany Tinker. Miss Elizabeth has worked hard her whole life. 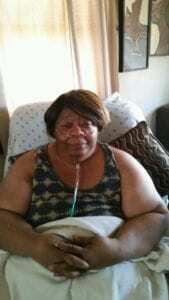 Now she is house bound and in need of a bath bench and adult diapers so she can care for herself in her home. Her need was only $51 but it was $51 she did not have. 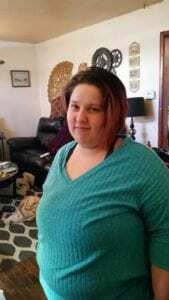 Brittany is a single mother of four who works at a community college. Her blood pressure is now a serious issue and her doctor needs to check her pressure several times each day. Brittany couldn’t afford the blood pressure cuff. It was the cuff or food. The Foundation made she she did not have to make that decision and purchased the cuff for her. Your gifts made this possible. Grateful. That is what these patients and so many more are because of your kindness through the CoxHealth Foundation.